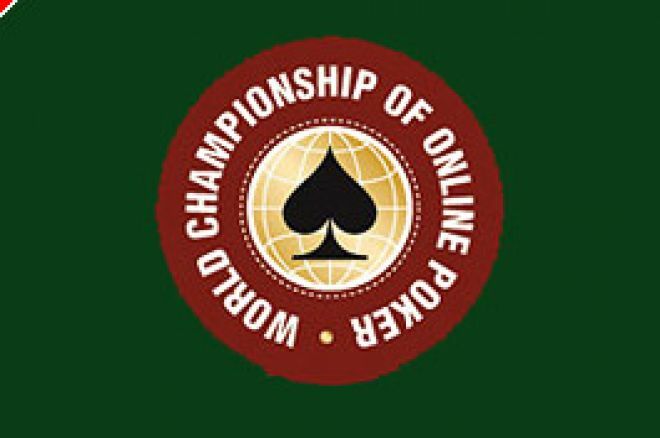 The largest poker tournament series held online; the PokerStars World Championship of Online Poker (WCOOP) gets under way this month. It runs from Saturday September 16th right through to Sunday October 1st. Last year, PokerStars hosted 15 events, which comprised the 2005 WCOOP and guaranteed $8,000,000 in prize money. In 2006, the 5th annual WCOOP will boast 18 events and guarantee an overall prize pool of a massive $10,000,000! This on-line series of events has been designed as an on-line equivalent to the WSOP and usually runs about a month after the climax of poker’s flagship event - This year is no exception. Players not only win cash prizes in the WCOOP, each event winner will receive a championship gold bracelet similar to those won by event winners at the WSOP. This year, In addition to the normal WCOOP series format, PokerStars have added a Razz event and two H.O.R.S.E. (Holdem, Omaha, Razz, Stud and Eight or better (Stud Hi/Lo)) events, one of which will be a $5,200 buy-in tournament hosted by PokerStars player Barry Greenstein. Although, all events are mainly medium to large buy-ins, PokerStars are not discriminating against the low roller as they are putting up $1.5m in free WCOOP seats through their VIP Players Club and through Frequent Player Points Freerolls. In addition to the free seats, there are satellite qualifiers available, which run all day every day for as little as $3, thus providing huge value for those players who may not quite have the bank roll to directly buy-in to some of these fantastic events. This year’s WCOOP is set to be the biggest yet. It has grown year on year since the inaugural festival in 2002 where first prize in the Championship Event was $65,450. Its popularity is now huge and prizes have got bigger and bigger – first prize in last year’s Championship Event was $577,342 and is anticipated to be even bigger this year, so make sure your not too late to book your seat in this year’s event. Below is the full schedule for this year’s WCOOP.